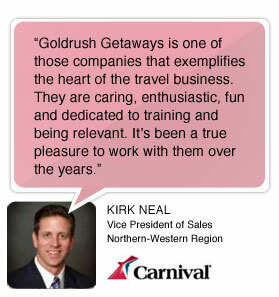 By becoming an exclusive member of Goldrush Getaways, you’ll be working with a leader in the host travel agency business since 1996. 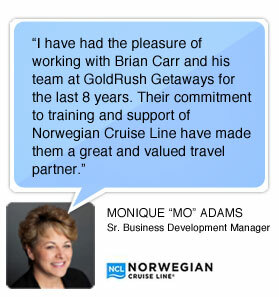 We offer our members complete travel agent training, expert support, professional tools and resources, below-retail travel rates and a commission-sharing program—all to help you save thousands on your dream vacations. In addition to our nationwide outside agent network, we have three travel agencies and training centers in California, one in Citrus Heights, a suburb of Sacramento, another in Campbell which is near San Jose, and our third in Rancho Cucamonga, which is 40 miles east of Los Angeles. Join today to be part of a support network that helps you get the most bang for your travel buck.